In a moment where the nation reels in our own yin and yang versions of pain and pleasure – from the continued assassination of innocent Black people by White racists or the passage of marriage equality by the Supreme Court that ensures LGBT people can now legally tie the knot in all 50 states – it seems reductive to compare life to a Pixar movie. 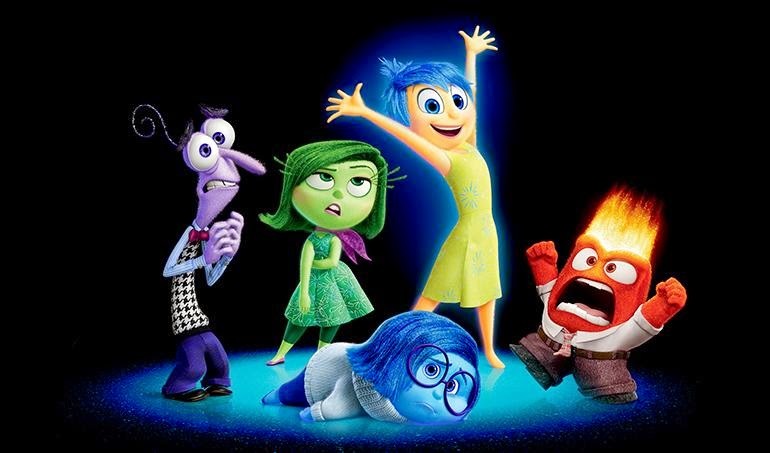 Yet it feels like no karmic coincidence that Disney has just released Inside Out – one of its most thoughtfully psychological animated films ever – not to mention one that in particular deals with how our upbeat innermost emotions must always co-exist with the ever present darker feelings not so way down deep in our soul. Of course, none of us have the vivacious voice of Amy Poehler to personify our Joy (Note: Perhaps not even Amy herself) nor do we have the gleeful rantings of Lewis Black to substitute for our own virulent misdirected Anger at the world. Or even the pathetically depressing tones of Phyllis Smith, a former assistant casting director who we know as the frumpy, humdrum, monotone-voiced Phyllis on The Office, to so brilliantly express our own inner Sadness. What we do have is real life – which is never as entertaining as the best or even very good Pixar movie. But it can be if we think about it just a little more than we indulge in our own pity or happiness parties (depending on our moods) without a thought to the karmic realities that comprise what we like to refer to as the rest of the/our worlds. Full confession – I’m more guilty than most of not following the strategies I’m putting forth here for Living Your Best Life (Note: Trademark Oprah). Not to be a giant buzz kill but on the day SCOTUS ruled on marriage equality most of what I thought about were gay friends who contributed to the struggle but didn’t live to see this day. This was due, in no small part, to the double whammy of the ruling coinciding with the nationally televised funeral for Clementa Pinckney, the senior pastor of Mother Emanuel Church in Charleston who was one of the nine assassinated last week by a 21 year-old White supremacist after the latter had spent the previous hour in a Bible study class praying with them in their own aforementioned house of worship. Pres. Obama eulogized Pastor Pinckney, also a state senator representing Charleston, and led the mourners in his own very compelling acapella version of “Amazing Grace” – certainly a first in POTUS history. Previously he and others have talked about the idea of reaching a state of grace and spreading that out into the world to others. Presumably this includes the forgiveness of those who have done a person wrong and nowhere were those teachings more apparent than from the mouths of the next of kin of the recently slain who only days before faced the accused murderer of their loved ones. Without exception they all forgave him to his face, or at least chose not to dwell in the bile he had elicited by looking backwards at the loss of all their relative or forward to all the blessings that would never be in the future. This idea of grace, the ongoing struggle, the bright future – no matter what has happened to you and where it lands on the fairness scale – it’s a wonderful and noble thought, one that is an undeniably positive and useful goal. But full confession: It works for me only some of the time, and even then barely. Part of my personal fight is also fueled by anger and the quest for fairness – the idea that one is not roused to action until one – okay, me – is more personally impacted by the issue at hand. This was a reason to think about all of the dead of the LGBT community, most especially the thousands from the AIDS epidemic, when marriage equality was announced. 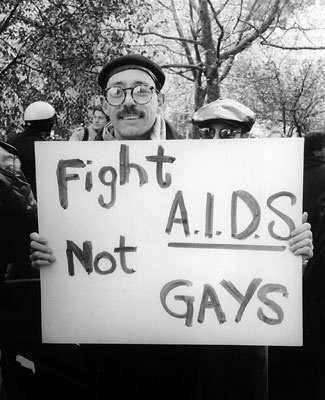 For, and this is my own personal belief, the movement would not have gained the steam that it had if not, in great part, due to the AIDS epidemic. Certainly, it wasn’t the only motor but just as certainly it clearly sped things up. What would Vito think of today? To be clear: we would all trade marriage equality in a nanosecond if we could wipe away the Plague and bring back those that fell – meaning died – in its wake. Clearly, we can’t. But what we also can’t do is to deny that the fact that this awful pandemic forced gay people to make themselves publicly known, many times against our own will or perhaps choice, and this inadvertently contributed greatly to forcing people to know us – the real us – rather than the sanitized version groups usually choose to present (or not present) to society at large. And that – along with a lot of grass roots work – is primarily what accelerated change and led us to where we are today. Justice Ruth Bader Ginsburg – or Aunt Ruth as I like to call her – said as much in an interview last week – and I immediately surmised, in a moment of total self-indulgence, that these thoughts must ‘run in the family.’ Though I (and perhaps she) have been thinking this for years it’s hardly an original idea. 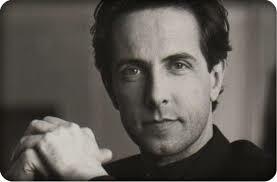 I heard the filmmaker/novelist Clive Barker say pretty much the same thing about gay rights five or 10 years ago on Bill Maher’s Real Time (or perhaps it was Politically Incorrect – who can remember which fabulous liberal spewfest it was) – and clearly he is no relative of mine. The hair, the body, the horror – not a Ginsberg in his gene pool, let’s be honest. Still, that doesn’t mean it isn’t clear that brother Clive (who has been out and proud for years), Aunt Ruth, myself and perhaps many of you don’t share something. And that is the recognition that the world is very much about the good and the bad each informing the other – the yin and the yang. That just as it seems one’s world is going to end, and perhaps in some ways it does, it is simultaneously the birth of something else. One supposes this is just our mutual human condition – one of many aspects of humanness we have in common, though so often we don’t want that to be the case. Still, it’s important to remember when the next big civil rights issue arises – that civil rights of all kinds for all people are intertwined. Charleston, Stonewall, Israel, Iraq, and ad infinitum back and forth through time. How often one writes about this (or performs it or films it) and how even more frequently the message is ignored, the world goes on and we continue with our days as if it’s all new to us or, even worse, in that particular case it doesn’t really apply. Bitchy, twitchy, witchy, kitschy and all else in between. It’s important to recall our collective history and our mass behavior when one is feeling down – or perhaps even too hopeful. Not in so much a fatalistic, sad way but an inevitably accepting, understanding and eventually life-affirming way. Dark and light, light and dark, dark and light – neither of them lasts – certainly not forever – nor would you probably want either of them to on their own. If you really think about it. The folks at Pixar obviously thought about it for the six years it took to bring Inside Out to the screen and simplified it so even a CHAIR could make sense of it and use it to understand the current events of the day.